Quick Ship bikinis are the EASIEST way to buy a competition bikini online. Quick ships easily solve this problem for you. Or the other option if you are really unclear about how your shape will chnage you can literally leave the purchasing to 2 or 3 weeks out from your show when you know your size. QUICK-SHIP BIKINIS are priced minimum 10% cheaper that Custom made bikinis & sometimes even more..
5 cm adjustment to the hip measurement for your peace of mind. Quick ship bikinis are changing EVERYDAY. 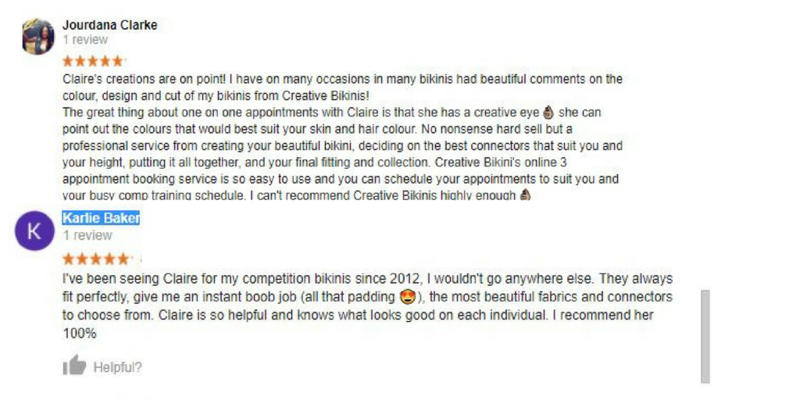 As bikinis sell you will see they disappear off the website, but fear not we also add new bikinis on a weekly basis. (however you will pay the full custom pricing). 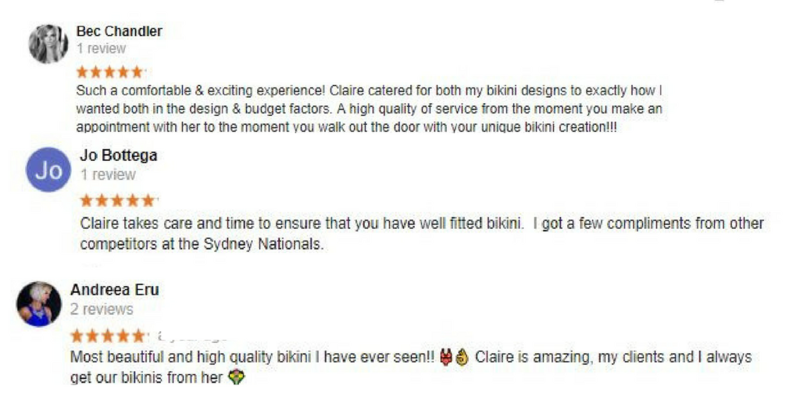 HIGH QUALITY Australian Made bikinis and figure suits. We use the BEST quality connectors and crystals.